We’ve just reached 57,000 likes on our BERNINA USA Facebook fan page, and that means it’s time for another giveaway! We quickly gained another 1,000 fans to hit 57,000 likes on our Facebook fan page in the last week! As a way to say “Thank You!” to all who join us at Facebook to share your love of sewing and creating with us, we are holding another special giveaway. If you are already a fan of BERNINA USA on Facebook, then you know that we’ve pledged to host a giveaway with a chance to win fun prizes like goody-bags, sewing books and even fabrics right here each and every time we gain another 1,000 likes through the end of 2013! Join in the fun by clicking over to our fan page, Like us, and be sure to keep your eyes open for our next giveaway. Is there anything you’d like us to add to WeAllSew.com? Sweepstakes Rules: Open to residents of the 50 United States and the District of Columbia. One comment per fan. Comment must be submitted to the WeAllSew.com blog within 24 hours after blog post posting by August 28, 12:00 midnight Central Time. Winner will be chosen randomly. Winner announcement: the winner will be announced here at this blog post early next week, and will have 48 hours to contact us to claim the prize. Keep checking back here starting next week! Our WeAllSew fan lulu4Sewing is our winner! Congratulations lulu4Sewing! Please contact us within the next 48 hours to claim your prize at WeAllSew@berninausa.com. If we don’t hear from you within 48 hours we will draw for another winner. Keep up the good work and good ideas!! Nice book, I’d like to win it. I think We All Sew has tons of great projects, the only think I would like added is maybe a little more user friendly site. If the projects could be categorized a little bit more. Love the site and this giveaway! Good luck to everyone! More mixed embroidery and sewing projects. I think you have everything anyone could ask for or have trouble with covered. The only thing i can think of is maybe more little girls dresses,or pageant dresses. You boys are pretty easy. Keep doing what you are doing. Love the articles that highlight unusual uses of sewing machine feet and how to use unusual fabrics is unusual ways. Why mess with perfection? There is always something new and interesting on this site, love it for inspiration! I would love to see more technique tutorials on here. I can’t think of anything else. You guys do a great job. I love all that you post on We all Sew. Maybe more on embroidery on difficult fabrics. I enjoy the attachment demos. I wouldn’t mind seeing a notation on the product pages with MSRP, so that, as a consumer, I have at least a ballpark figure for budgeting/wish-listing. Everything is already so good! Have you ever thought about a YouTube site or a video tutorial section? In addition to your pictures/written tutorials, actually showing the action on a few techniques would be helpful and keep people connected to you. I like the idea of a forum and thank you for making an app for my ipad! More mature applique would be great. I love applique but much that is out there is for kids. More quilt patterns that look complicated but actually deceptively easy!! I love the info on the site. I would like it to be a little more organized. But keep the great ideas coming please! I love this site. Hard to think of anything that could improve it. After frying my brain…a block of the month would be good. Not really an improvement but something new. I love this site…keep it up! If you did nothing else I’d be fine!!!! But just a thought … As a newbie to machine embroidery (but not to sewing) I still have a lot to learn and sometimes I just need to chat with someone who might have a suggestion or tip. So some kind of how to board…So I guess I’m looking for a “How To” lookup or a chat room for stuff like that. I’d like more fast and easy beginner, step by step projects, on you tube, or other type instructions. Making and altering pageant dresses. Love the ways to use presser feet! Maybe a forum or two? I’ve learned some great things; thanks! I quilt so I would like more on quilting using the decorative stitches. Maybe some more info on taking care of your machine, or troubleshooting. I love the site, but would like to see improvements to the search engine.sometimes I see something in a blog post and remember it later when I need something. When I search for that specific project, I find all sorts of cool stuff, but not the original project. On the same lines, a personal library where you could save you favorite projects/tutorials would be great! I really like the articles with tips on using your machine. I have a brand new 710 after using a Bernina 930 record for many years, and I can use all the help I can get! I like it the way it is, but I love reading about artists and how they and their work has evolved. I love We All Sew it would be nice to have more charity opportunities listed. I like to make things, and give them away. I’m new to the site, but found it great! Keep it up! You are great like you are but I also would enjoy forums especially on machine embroidery and machine quilting.. I love the site and would love to win. The site is great just the way it is! I’d love to see more projects and inspiration for sewing clothes for women please. Love it .. this book looks awesome … I want to get into making some bags ! There is a plethora of things to do on We All Sew my only wish is that I get more time to participate in more of the projects and forums that exist. Having LOTS of pictures, even close up, really make a difference! 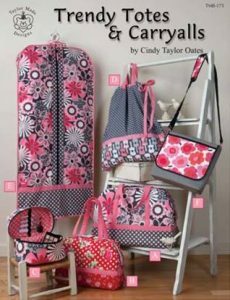 Love the totes in this book! It’s great already. . . a very fun place! I think your blog/website is splendid! A forum would be cool. I would love to see more mixed media projects. Thanks for the continued inspiration! I’d like to see a few projects catered to the teens or a teen corner…it gets tough seeking trendy inspiration to pass on the love of sewing to the next generation. Bernina – I wished I’d have met you years ago. Thank you for all of the continuation education and tips and projects! You really do put the consumers, us, up front and I thank you. Love Through the Needle Online and We All Sew; they are awesome – also, all the webinars. I have done at least 4 or 5 that I can remember. Thank you! Would like to view your site in landscape view on an i-pad mini. Have the app but it only allows a “portrait view” Love the articles & giveaway. Just started using…would love quick, easy sewing gift ideas to make on my “new” Bernina (the 780)! I can’t think of a thing to add to your site. It’s great! I think this site is great! I just started using this site so everything is new and I’m still trying to learn how to maneuver the site,so I can’t really say what I would add although I do love the forum idea. Would love more sewing / quilting projects. Your tutorials are great. I’d like to see definitions added periodically, for those new to quilting and sewing. For instance, a few years ago my sister-in-law and I were talking about constructing a quilt and she said I should use a “jelly roll” for it. I looked at her like she’d gone mad….we were talking quilting, not recipes. She then introduced me to jelly rolls, layer cakes, Bali pops and the like. Since I am new to the blog I don’t really know what to suggest. Need to spend a little time investigating what is available. I like your site very much. Keep up the good work! Thumbs up to all that you do! Love WeAllSew. I don’t see any video tutorials. Unless I missed something. Love all the free tutorials you have already. Keep em coming. Thank you. I would love to see more quick and small projects that would be great gifts with the holidays approaching. Love your site. Keep up the great work. I’m new to reading this blog, so I don’t have much to offer for improvements, but I do agree that a forum would be nice. I know that is easier said than done and will take a moderator. I occasionally have questions that I would appreciate having answered from an “expert.” Thanks for this blog! I look forward to reading–and learning–and being inspired–more! I can’t imagine what you would add. You offer such a variety now. I love to quilt and make bags, but also love garment construction. Garment construction might be the only thing you could do more often. But I’m good with your site as it is. Thanks for doing such a good job. I’m new to this site in fact this is my first blog. I love all the sewing projects; a lot of wonderful ideas. I would like to see back to basics helpful hints. It would be nice to see how the experts do some of the simple tasks. We might learn some neat shortcuts or just better ways to do things. I love all the projects. Especially how to make bags. This site is very hard to get in. logged in 4 times to it worked. Love to start reading book with a cup of coffee. Just relax and dream up new ideas. For one of my granddaughter I have sewn her a Little Mermaid out fit to wear and she loves it. I have found out that I love projects I have been finding. Also, how to use some of the stitches. But this is not posting that I can see. it took me a long time to find out what a fat of material was. some of the new lingo would help….